I'm a powder girl rather than creams and liquids! It must be because time is so precious for me I wouldn't want to spend a lot of it just on my face as I can literally hear my mom clapping her hands saying: "GO! GO! GO! Hurry up!" Don't get me wrong, I'm glad that I was trained to be conscious of time! 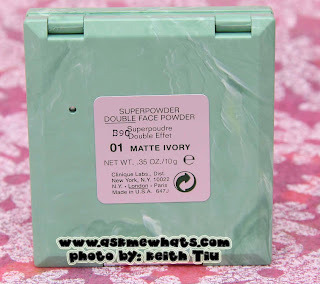 Way before Paul & Joe Protective Dual Powder Foundation Days, it was Clinique Superpowder Double Effect for years and years! A long-wearing 2-in-1 powder and foundation in a portable compact. The long-wearing, full-coverage powder works as an over-foundation finisher or as a powder foundation. The extra-cling formula provides double coverage, yet leaves the skin with a natural skin-perfecting look. For combination skin types. Non-acnegenic. Packaging has a clear manufactured date. Huge mirror which can be used to apply all over face makeup. Washable sponge made of good quality. Using light-hand application, it gives a matte finish with a "glow". Does not dry my "already dry skin". Looks very natural to use on its own or even as setting powder. Shade choices aren't that wide. Only 4 shades available. This is a wonderful face powder that suits dry, normal and combination skin! The powder foundation is lightweight and you can see the original skin shines through! As for the price, people may judge this product to be pricey, but for someone like me who have sensitive, dry/combination skin, this is a great "investment" as I vouch on looking for the best product that suits my skin! Each compact would last me around 3 months or so, so I guess it's worth it. Always start application with a clean face. Moisturize well if you have dry skin. Wash the sponge prior to usage and wash as much as you can with soap and water, let dry completely before next use. For lighter application or touch-up, apply with the use of a brush. 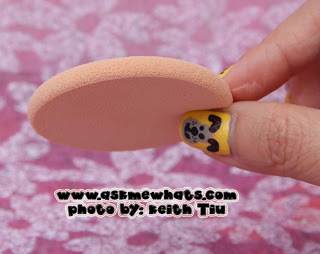 Pat your skin with oil blotter prior to retouching your face powder. LIKE Clinique Philippines on Facebook to know what's UP and Happening! Yes. I've repurchased this product a lot of times! 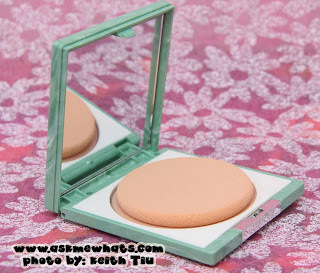 Clinique Superpowder double face powder is good for dry, combination and normal skin. At local Clinique counters at Rustan's and Trinoma for Php1,700 (approx $39.50). 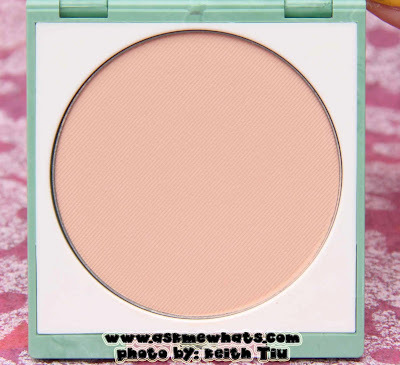 This shade has a bit more "pink" undertone rather than yellow so it's a tiny bit different from my "comfortable" powder shade but I don't mind as I like light-handed application and it matches my neck and the rest of my body! 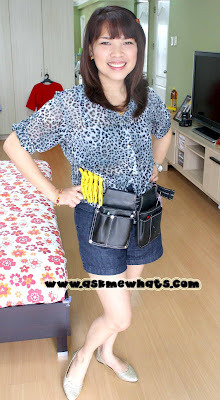 If you are accustomed to the MAC shades, this will match NC15-20! As seen on my close up shot yesterday (the one with bangs), I've used the Clinique Superpowder Double Face Powder in Matte Ivory on its own with moisturizer underneath. It did not give me the white cast thus making it look like second skin. This photo was taken 2-3 hours after application prior to make-up gig :P.
Note: My skin turns into a combination --- dry on the t-zone area and normal on the rest of the face. What's your first ever pricey powder or powder foundation? 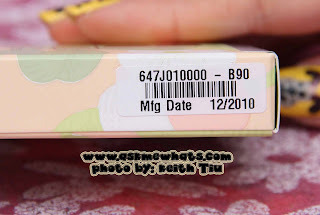 MAC Studio Fix na na-expired lang and now Majolica Majorca Skin Remaker Pore Cover kahit tad dark yung OC10, ok na din. I also want to try Clinique and Shiseido kaya lang wala pa budget. I have very oily skin and was recently advised by the Clinique girl at the makeup counter to purchase this. But I see in your tips that you advise not to if you have oily skin - can you explain this to me? It seems that even as soon as 30 minutes after I apply this, my face becomes super oily! The makeup stays in place (I blot with blotting papers), but the oily-ness is super annoying! I just wanted to get your opinion. I figured it was just an initial reaction from using it.